Support, accelerate, contribute and shape the future of the interconnected water community. Let's meet in Amsterdam! 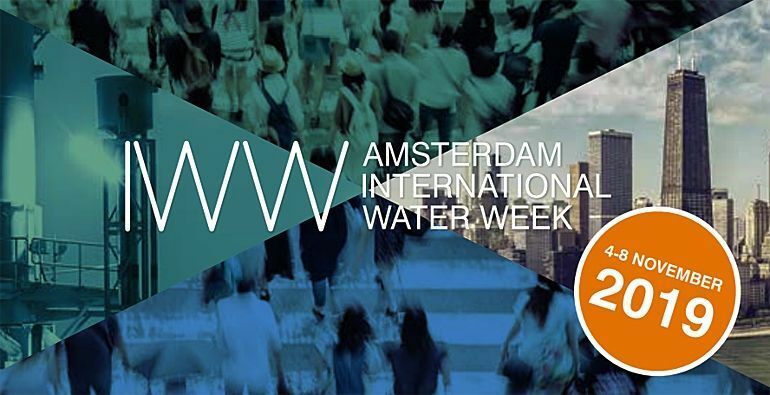 On November 4 and 5 the international water community meets in Amsterdam for the Amsterdam International Water Week 2019. This year's theme is the Implementation of integrated solutions by Cities, Industries, Utilities and Finance. Over 200 international speakers will present. The Water Agency is organising several activities surrounding the AIWW2019 program, one of them being a Study Tour to the Netherlands. The River Water and Climate Resilience Study Tour brings together a delegation of water professionals from the Asia Pacific Region. The delegation will also attend the AIWW 2019 activities.